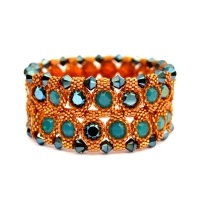 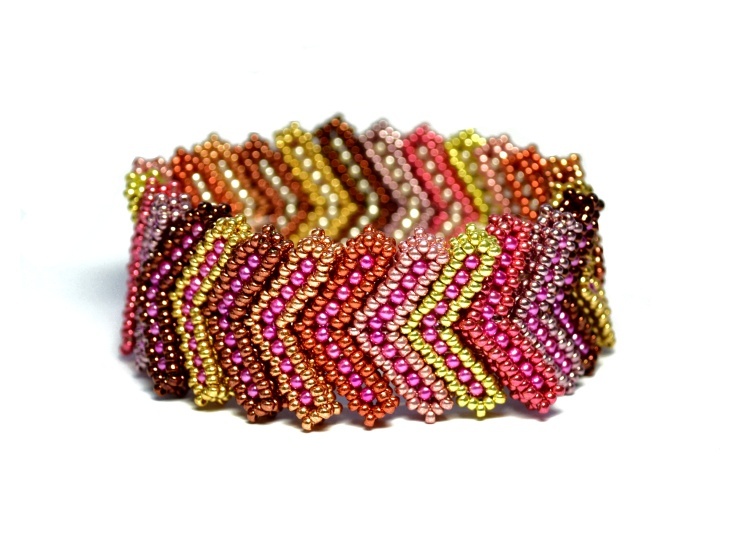 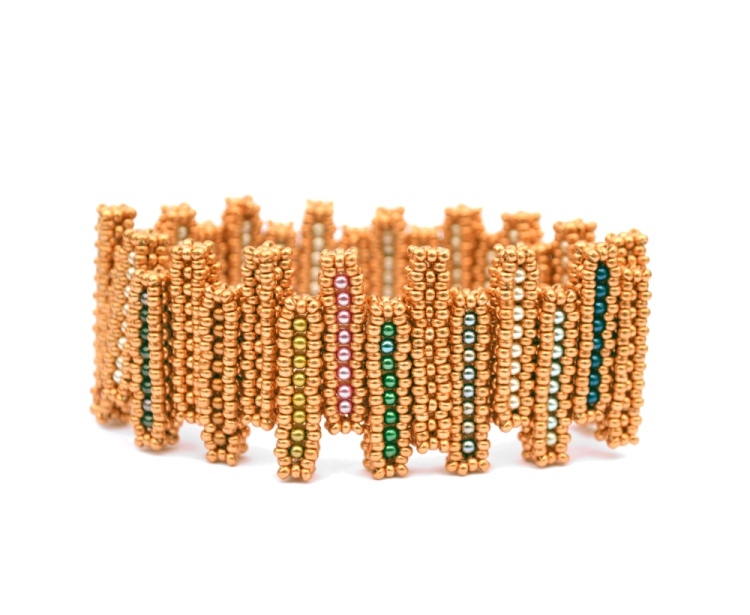 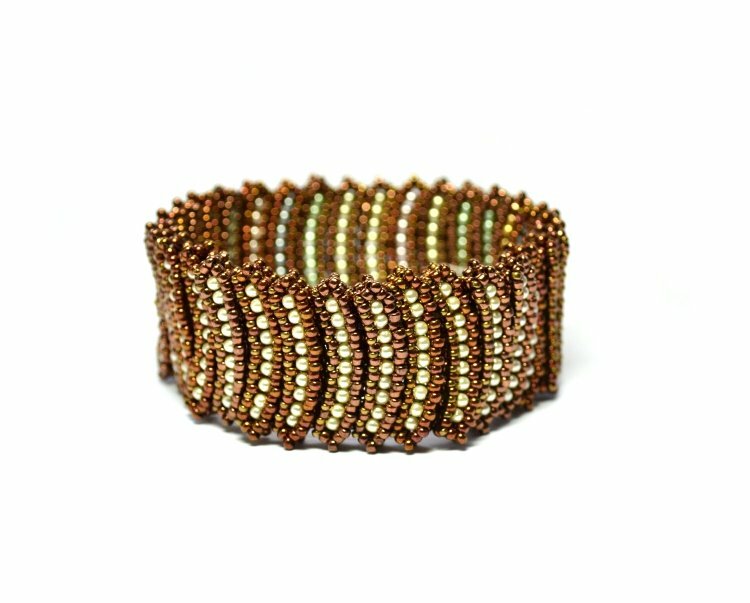 This series of bracelets combine Cubic Right-Angle Weave (CRAW) components and a mix of beads to create a versatile, reversible pieces with many possibilities. 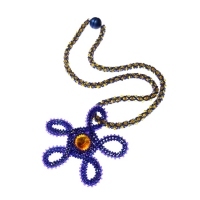 Suitable whether or not you have ever beaded CRAW before, the detailed 23-page intermediate instructions include full information on learning the stitch along with how to bead the 'sticks' that give the piece its name. 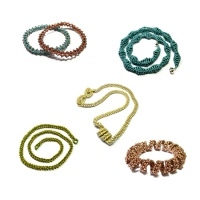 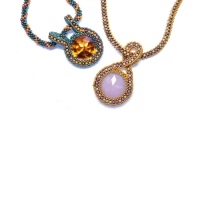 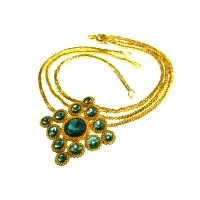 Also included are instructions on taking it a step further and making curved or chevron shaped components as well as how to turn your pieces into a bracelet strung on elastic or use them in necklaces and earrings.